About a month into this kiting thing a Blue Moon Kite was on my dream list. Few days ago this showed up. It's everything I expected and more. 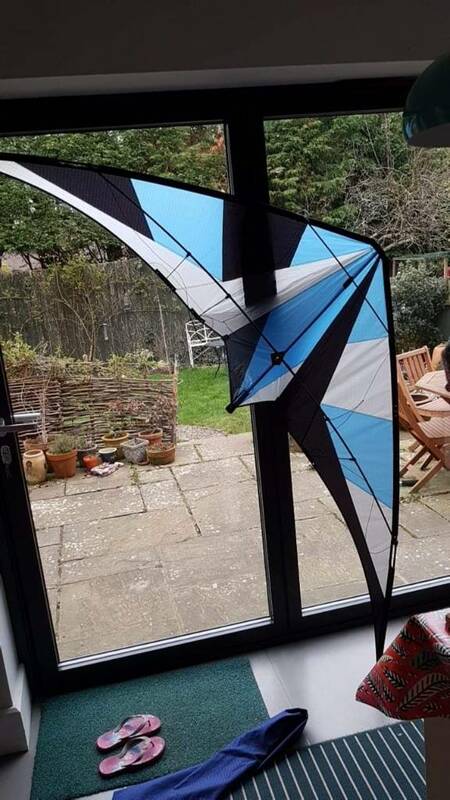 Super stoked to have it.Bmk has a reputation for durable kites. This was made 1/11 and is just about pristine. Didn't care for the color much till I put it in the air.WOW!!! Now I love it. Think poison dart frog 🤔. My full size standards are ITW Hydra, Widow Maker Pro and now this. They are very, very different kites. 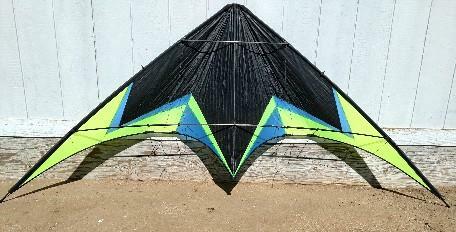 The reviews on this kite have been done by a lot more experienced fliers than me. Read them if so inclined.The knowledge gained is so worth the read whether or not a BMK is something someone would want. I have 0 to add other than be very, very careful if getting a Mongoose. It'll make you really, really want a Mamba and Exile too 🤬. I recently came into a BMK too, bought used from a guy on a German forum. My first impression are, wow. Made about ten years ago and absolutely spotless. The yoyo stoppers have perished but everything else is as new. Can't wait for the right winds. Beautiful!!! Not one to fly patterns much or just zoom around enjoying a kites flight. Except on the Mongoose. Tricky kite for sure but the silky feel in flight is hard to describe. Very addicting. Stoked you got such a excellent kite. Now you can really Limbo/dance with the wind . I'll let you know how it goes. Silky sounds very appealing. BMK (and Aerie) kites rule....for me and my old school style....end of story... Yeah they can do all the tricks but there is something about that "Blue Moon feeling" that who cares about flippy flopping.....they want to FLY!! !